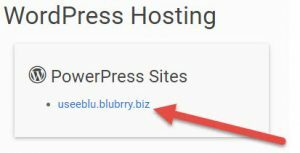 PowerPress Sites Deluxe customers can set up a domain for their show through purchasing one at any of the dozens of domain registrars or simply by purchasing one through Blubrry. Setting up your Domain and DNS (Domain Name Service) for PowerPress Sites Deluxe customers is very easy. Please note dependent on your Domain Name provider it can take as long as 24-48 hours for the domain to reflect the new site. This is not always the case new domains never mapped to a host should update very quickly. Existing domains may take longer. Step 2: Go to the WordPress Hosting area in the dashboard and click on your PPS Deluxe listing. Step 5 Input your domain name and check the listing. Step 7 The domain has been added to your account and you now must determine if you would like to use the built in DNS managed by Blubrry (recommended) or use another DNS management system. We will show you both configuration methods. For ease of setup follow the recommended option. Step 8 You will need to update the Name Server record for your host name with your domain registrar to ns1.blubrry.com and ns2.blubrry.com. Be it GoDaddy.com or other registrar. This is done in the domain settings area. Step 10 Make the following modification to your DNS record for your domain name. By updating the root “A” record to IP 52.73.95.116 and update the CNAME record to what is displayed in the menu. Step 11: Verify your domain has been added in the Domain Menu. This should complete your setup. 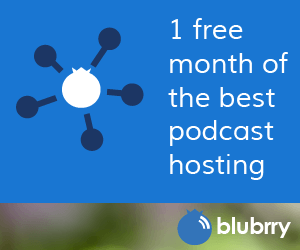 Domains can take as long as 24 hours to start resolving to the new host. In most cases the domain could start working in as few as 15 minutes. Each domain registrar have their own default A record and or Name record update schedules.